The 6-year bar graph below represents the volumes of applications received by Super Brokers in each month for all years combined. The busiest months for mortgages occur during our second quarter (represented by the green bars) with 30.74% while our slowest is the fourth quarter (represented by the red bars) with 21.20%. The bar graph listed below compares the busy days for online inquiries that were received by Super Brokers. A combined total of all occurrences of each day are represented for the past 5 years. In Northwest Territories the most busy day of the week, with 16.96% of all submissions, is Wednesday. In comparison, Thursday's are the slowest day with only 11.66% of all inquiries. 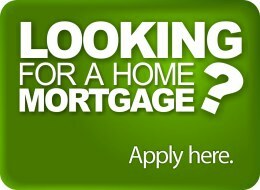 Mortgage applications are received 24 hours a day from the Super Brokers' web site. The information shown below represents the peak hours over a 24-hour period. The data is taken from all days of all years. The following figures show the average income of people living in Northwest Territories who have submitted an inquiry using the online application located at the Mortgage Super Brokers' web site. Our credit card points calculator is really good; you should try it. What, you want reasons? Well for starters, it helps you figure out what those reward points are actually worth, so you can decide if you should get a cash back or points card. And to make that decision easier, you can compare credit cards side-by-side, but if that wasn't enough, it'll even make you breakfast and massage your feet! Well, okay, it doesn't actually make you breakfast or massage your feet, but it's still really good, and you should still try it.